I’m on a train that isn’t going anywhere. But, for once, this isn’t the fault of Southern Rail. 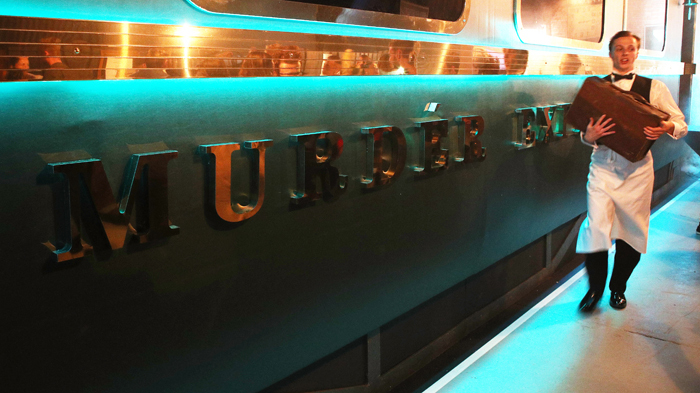 I’m on board the Murder Express, a new ‘immersive dining experience,’ an increasingly popular way of combining one’s evening meal with a side of performance and a garnish of light role-play. A railway arch in deepest Bethnal Green has been converted into a train carriage intended to replicate the golden age of rail travel. We’re in Agatha Christie territory, with comfy booths seating six and tables topped with Tiffany-style lamps and era-appropriate luggage. The ‘windows’ are in fact screens showing the passing countryside. After being left to linger in the waiting room-turned-cocktail bar, we’re invited to take our seats in the carriage before the ‘journey’ begins. 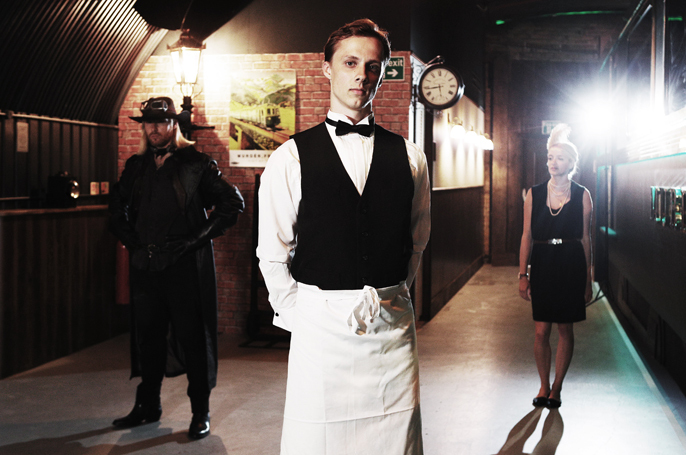 Actors in character patrol the aisles: a flapper, a spiv, and a nervous waiter. A crime is committed between courses and we’re invited to guess who did it. It’s all very silly stuff, though performed with commitment by its cast. 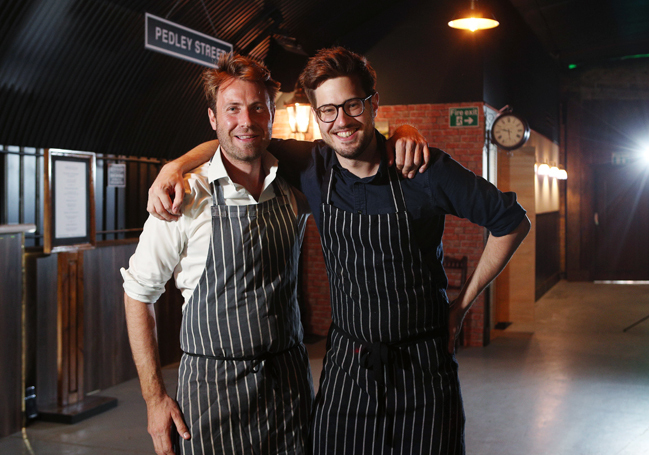 The show is the work of Funicular Productions, a new company consisting of “event, brand experience and theatre professionals” (their words) and Billy and Jack aka Billy Wright and Jack Layer, Masterchef runners-up and organisers of London pop-ups and supper clubs. A set three-course menu is served over the course of the evening – a pleasant Mulligatawny soup, a Butler’s steak with pressed potatoes (very favourably reviewed by my dinner companion), though being vegetarian I ended up with a perfectly serviceable pithivier, unaccountably served with new potatoes – not as unimaginative as some vegetarian options but not exactly thrilling – and an apple tart so good I could have happily eaten another. 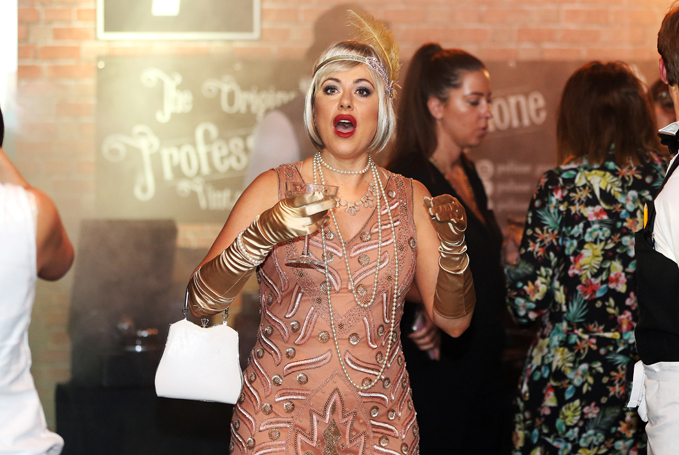 Perhaps buoyed by the continuing success of Secret Cinema, there’s been a real growth of events that feed people’s appetite for Instagram-friendly experiences of this kind. 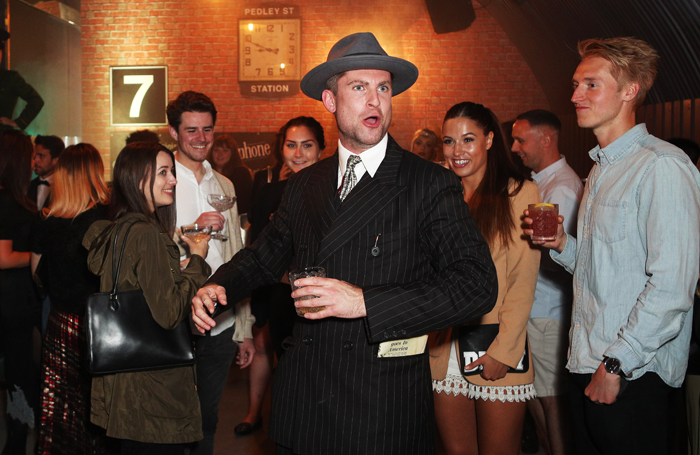 The Gingerline company creates what it terms “clandestine dining adventures” and London now has a prison-themed bar called Alcotraz, a ‘bring your own alcohol’ immersive cocktail joint in which punters are given orange jumpsuits to wear on arrival, bartenders play the role of prison inmates and if you misbehave you might be on the receiving end of a one-on-one encounter in the hole (yes, this is a thing that exists). 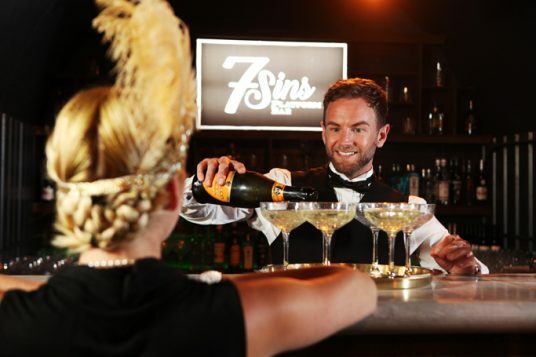 When Indian restaurant chain Dishoom launched its new Kensington branch, it brought in Swamp Studios to create an immersive experience to show off its new menu and provide some history and context. Last year Bompass and Parr created Dinner at the Twits, a show that paired Roald Dahl’s ghastly creations with gastronomic experimentation. The National Theatre has also dabbled, introducing an onstage restaurant element to Ivo van Hove’s Network. 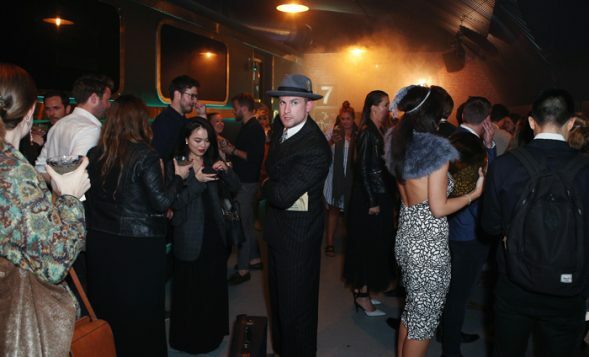 Personally I would have preferred to neck a couple of Dubonnets in the club in Absolute Hell. What’s plain is that people will pay for these experiences. 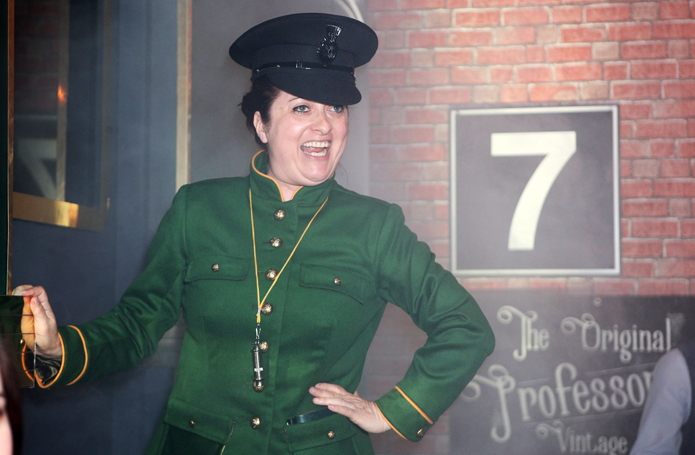 Tickets for the Murder Express cost between £53 and £57, a price that includes food but no drinks. 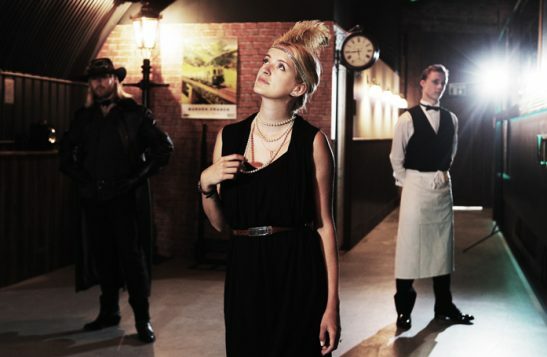 This feels ambitious when tickets for the latest Secret Cinema escapade start at £45 (though they go up to £115 for a premium package), and An Evening of Meat, a feminist performance art supper club in the Vaults, also costs £45. 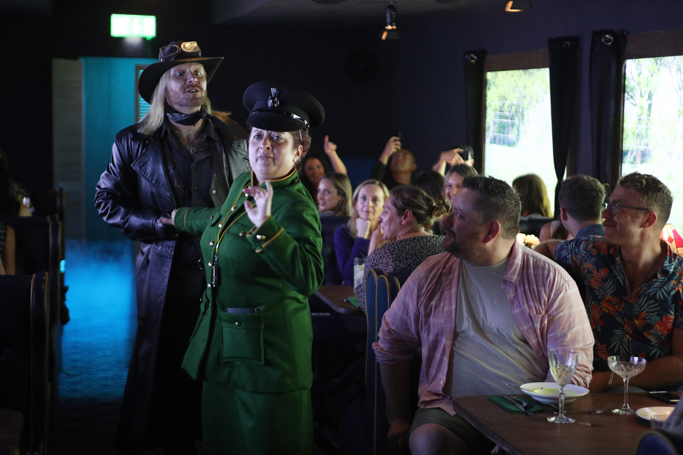 This feeling is compounded by the two-hour time slot – there are two performances a night – the fairly pedestrian nature of the menu and the fact that nobody bothered to edit out the decidedly non-period parked cars and caravans from the scrolling scenic video. There’s also the question of the actor-audience pact. The rules are clearly different when it comes to immersive work, particularly in situations where drink is flowing and performers are perching on people’s seats. As Lyn Gardner’s recent piece on the growth of immersive work discussed (see below), this blurring of lines brings with it a whole suitcase of issues regarding consent and boundaries. This is clearly a growing area of the industry though. There’s a hunger for this stuff.